It's readily available to us now—the ability to produce really high quality moving images. When Lucas Gilman got an early look at the D850, he was asked to give special attention to the camera's capability to produce time-lapse sequences—individual images taken at intervals over an extended period of time played back at normal speed to produce compelling and dramatic "motion pictures." 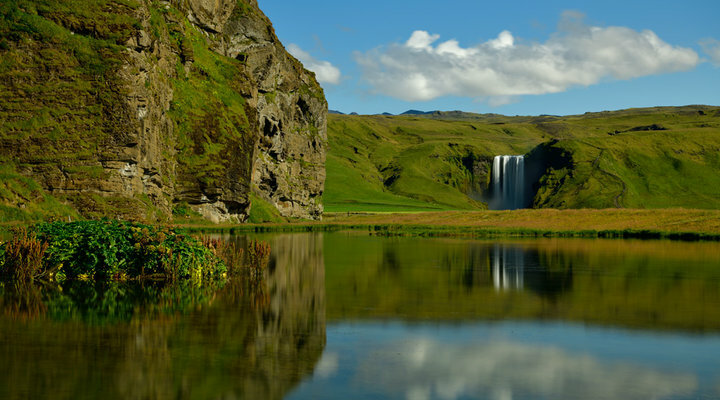 For Lucas, the essence of a landscape time-lapse is interplay. "When we compress a large amount of time, not only are we seeing a stunning landscape, we're seeing the interplay of clouds and wind, waves and tides," he says. "We see, over time, how nature plays with and affects the landscape. We see the beauty of motion." Time-lapse is not only an aesthetic consideration in Lucas's imagery, it's also a practical one. "it's an important part of any video project," he says. "It can really sum up a location. It can show, in motion, the stunning variety of a place." The D850 provided him with a number of options and choices to best capture and create time-lapse sequences from individual images of stunning detail, depth and color fidelity made possible by the camera's 45.7-megapixel power, high resolution and ISO capability. The first option was the D850's ability to produce both 4K and 8K (essentially high resolution and ultra-high resolution) time-lapse sequences. The 4K production is internal—the camera takes the pictures and seamlessly stitches them together for viewing on the LCD and output as a file that can later be edited. At 8K, the camera will store the individual images for output. "You'll need a software program to join them into a time-lapse motion sequence," Lucas says. "The software typically will use 24 fps or 30 fps time lines, so every frame will be on the screen for 1/24 second or 1/30 second." Lucas made 4K and 8K time-lapse sequences with the camera, choosing the interval between images to determine how fast objects in the time-lapse will be moving. "The longer the interval, the faster the clouds, for example, appear to move," he says. "A huge benefit of the D850," he adds, "is its built-in exposure smoothing. Very often in time-lapse you'll see from time to time a flicker of light from one frame to another, but the D850's exposure smoothing means the sequence is virtually flicker free. It's a huge benefit." And so is the choice of silent shutter mode when the camera is set for time-lapse. "If you shoot a lot of time-lapse, for every shot the mirror goes up and the shutter opens and closes, and then the cycle repeats again and again. With the silent shutter, the mirror goes up for the first frame, the shutter opens and from there, the shutter stays open—the images are taken using the electronic shutter. So you're not getting mirror slap or vibration on the camera. You're getting sharper images, and you're using less battery power." Lucas also used Focus Peaking in still image mode to confirm manual focus of his subjects before switching to time-lapse mode to shoot his sequences. "It's a very handy visual reference to assure that what you want in focus is in focus," he says. Overall he found the D850 put an amazing amount of creative control and expression at his command. "It's all so easily and readily available to us now—the ability to produce really high quality images and moving images. This camera is a powerhouse." 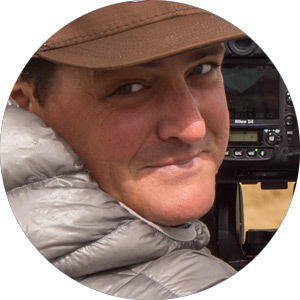 Lucas Gilman is one of the leading adventure photographers and filmmakers in the industry. His powerful and incisive images run in top publications & advertisements worldwide. Lucas documents subjects ranging from expedition kayaking in India and Costa Rica, to surfing in Brazil to backcountry skiing in Colorado, Alaska and South America. He has covered international events such as the Tour De France, Kentucky Derby, ESPN X-GAMES, IRONMAN®, NFL Playoffs, and more. Learn more about him at his website www.lucasgilman.com and his ambassador page.